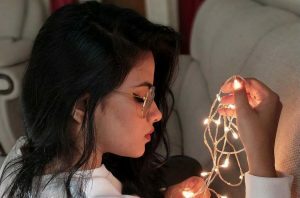 I am a beliver even if imperfect, but that does not mean I do not want to perfect my belief. 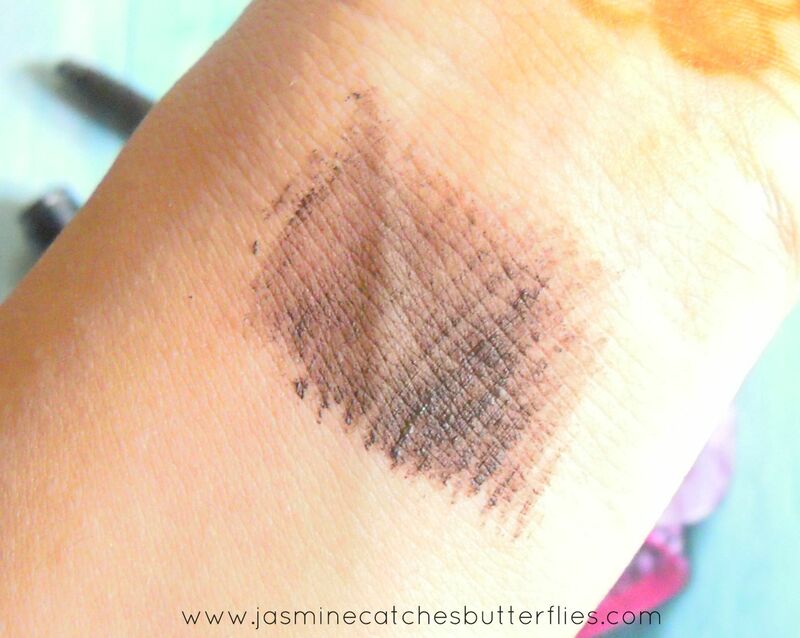 Such is the case of choosing the right makeup products. 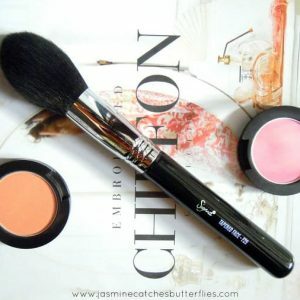 With the spike in social awareness, a lot of us have been striving to turn to makeup products that are organic and cruelty free. The brands that aren’t atleast organic outweigh the ones that are so discovering brands that can provide the former competition is always something I find pleasing. 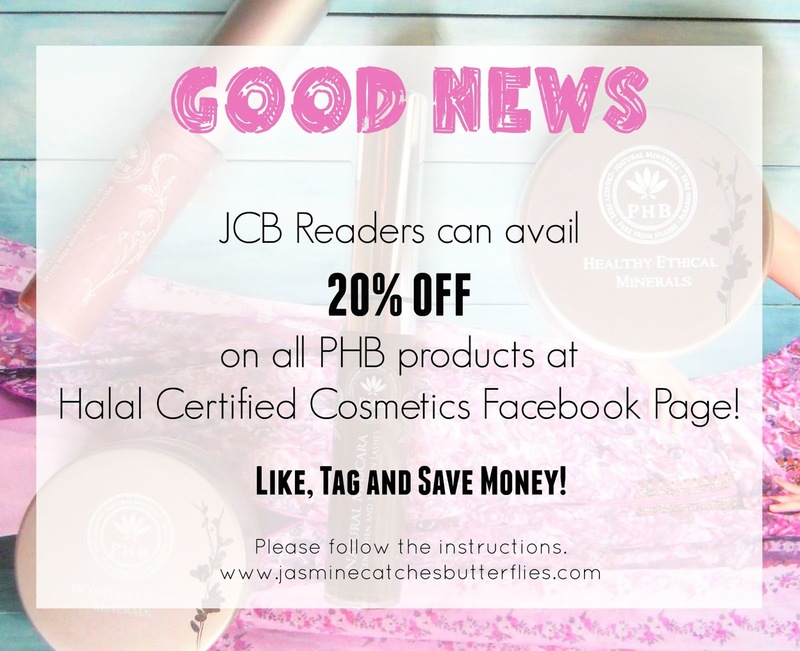 PHB is one such brand, based in UK, that takes pride in being vegan, cruelty-free and in addition to that is certified halal, which is something every Muslim would appreciate. 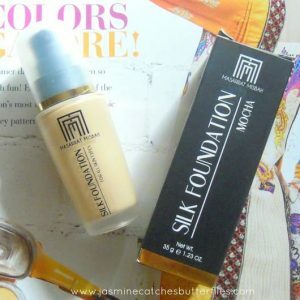 Thanks to Halal Certified Cosmetics Pakistan on Facebook for bringing PHB to Pakistan and through them I got to try out some of PHB’s mineral makeup. The idea of powder foundation had not honestly intrigued me much in the past for I have dry skin so I prefer liquids. 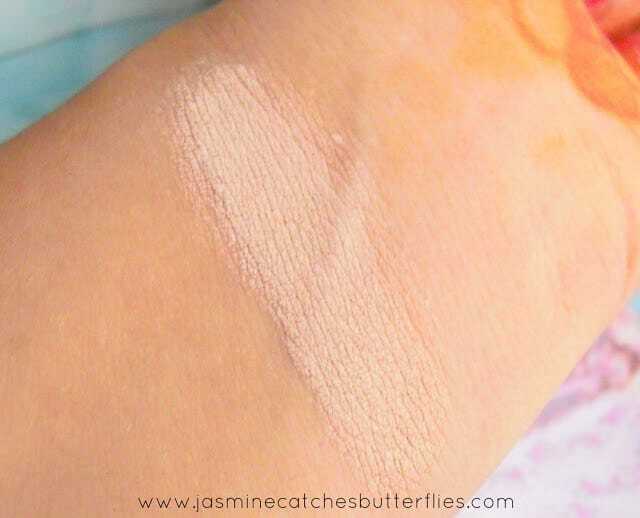 However, Essie Button talks so much about mineral makeup and foundations in particular that it was on my beauty agenda to get hold of a mineral foundation to see what it really is like. 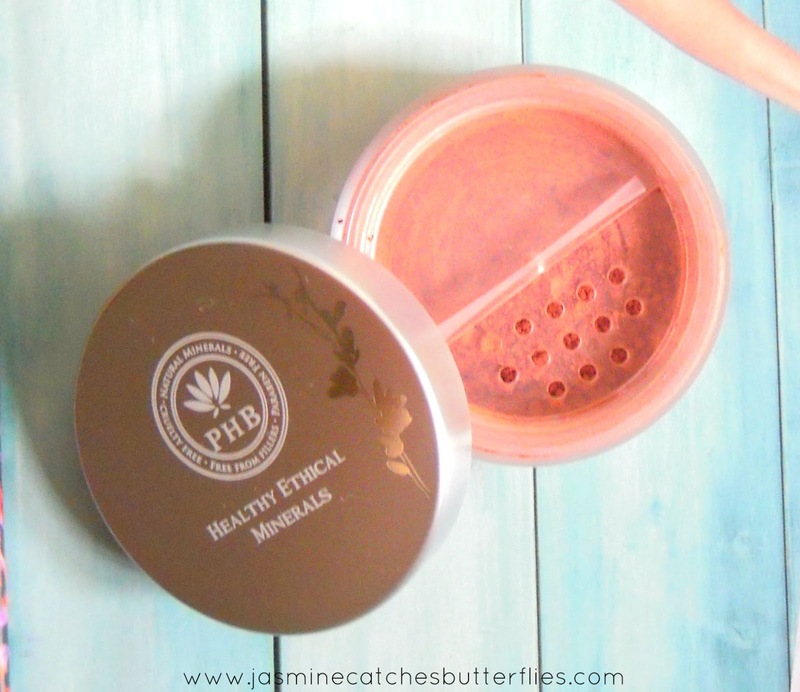 The PHB mineral foundation comes in a 10g jar with a sifter to control the amount of loose powder dispensed. The sifter does keep the product from wasting, but I find the area available for dabbing my brush/sponge a bit small so I prefer taking the product on the lid. I like using a sponge with this at first to concentrate the product before blending out with a brush. 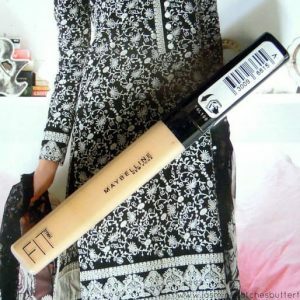 I must say that you do not need a lot for a decent coverage and this foundation can be built up for a fuller coverage. The finish is silk like and I love the way it lays on my skin, providing a porcelain doll look on blending. Though, I would warn you to be careful with the amount of product you use as putting on too much at once can get difficult to blend. 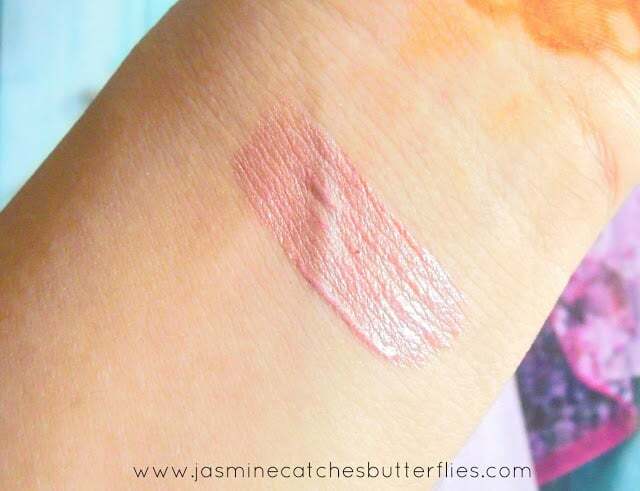 This particular shade, Fair Rose, is much lighter than my tanned face and slightly pink toned so it would be more suited for fairer and cooler skin tones. However, this still adjusts to the skin tone on my arms even though it appears light for them too at first. The longevity of the foundation depends on how much of the product you use. For my face, I go for a sheer amount so that it does not look odd due to mismatched tone, and it lasts only about a couple hours. On the contrary, patch testing with more product has proved that it can last up to 5-6 hours. This foundation also has an SPF15 which is a plus for people who forget to wear sunscreen otherwise. 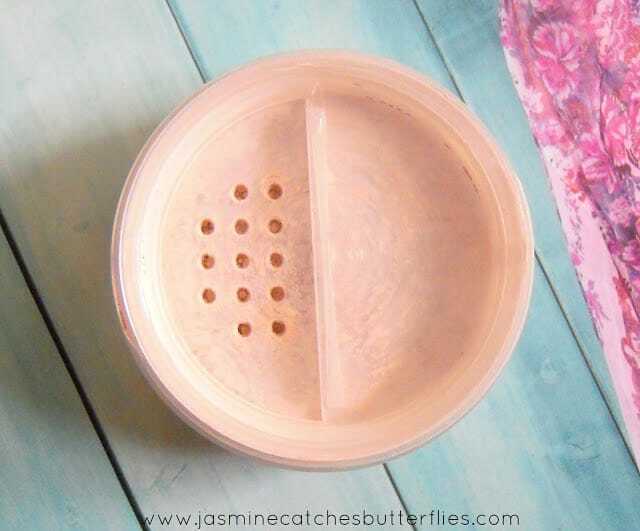 Just like the foundation, the blusher also comes in a similar plastic jar with a silver lid and sifter but it is smaller in size with 5g of product. The shade Warm Apricot is aptly named as it is a beautiful deep pinky red shade which would flatter medium to darker skin tones. Pigmentation wise this is an absolute winner, but again you do not want to load too much on at once. A little goes a long way and you can gradually build it up. 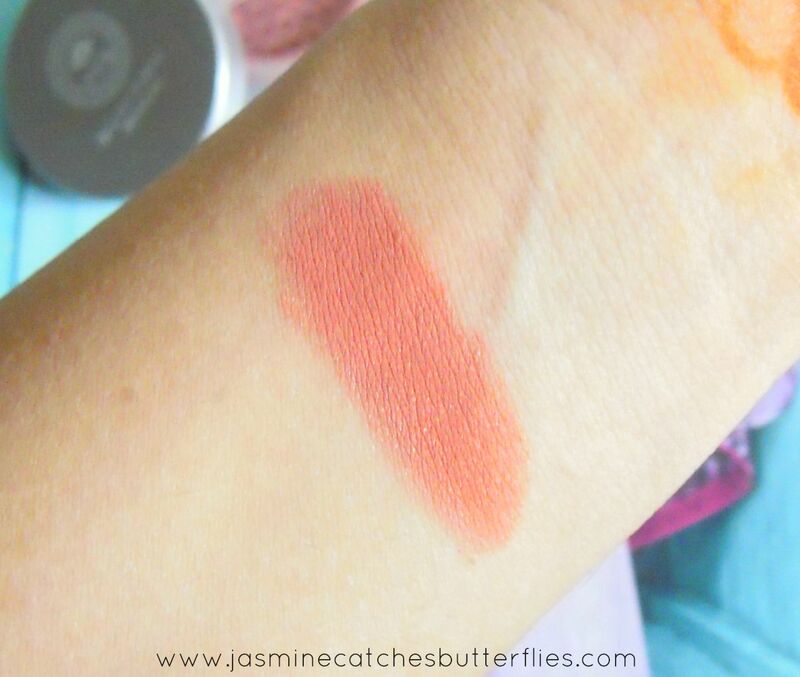 I say this because it is not the easiest to blend blusher but that also makes it more long lasting and prevents fading. PHB Mineral blusher also has an SPF15 to protect your cheeks against sun damage. Mascaras have to be one of my favourite eye makeup products ever! So obviously, this was one product that I was most excited to try out. I have time and again mentioned how I am always looking out for brown liners and I do confess that getting a brown mascara made me equally happy because when it comes to makeup I am more of a brown’s girl than black’s. Mainly because it is slightly subtle even if not too easily differentiateable. Just a little tip, if you are blonde, brown mascara would work better for you than black. The PHB natural mascara claims to lengthen and thicken lashes and it does live up to it in reality. You won’t get anything too crazy with this but it is still pretty good and definitely for people who look for something they can pull off even in day time. 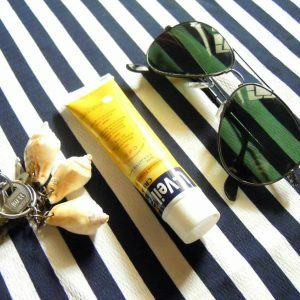 It amps up your look by enhancing what you already have. I appreciate how the brush that it has is not like anything out of the usual as most brands have been trying lately. Instead, it is basic and gets the job done nicely. The best part is that this mascara does not clump whatsoever and that is what most girls want on a day to day basis. 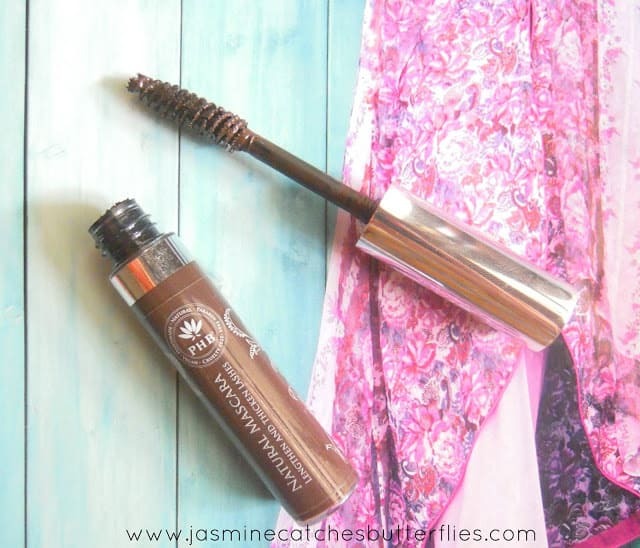 This mascara is water resistant but still easy to take off. I have been using it religiously myself and I love it. As a beginner I largely relied on lip glosses as lipsticks seemed too intimidating and I literally hated matte finishes. However, with time I completely converted to the matte lip gang and thought glosses just didn’t flatter me all that much. Nonetheless, I get to try so many products that I could not completely give up on the glosses so I have been testing how I can still incorporate them in my makeup routine and this particular shade, Grace, is a safe choice. It is mauve pink which is my all time favourite lip shade and I find it easy to pair with some of my everyday lipsticks. Note that it looks a bit light in the photographs perhaps due to natural lighting. The gloss smells like a candy I used to have when I was younger and I think it was Fruitella or something chewy and lemony like that. Though don’t worry, the scent does not linger on lips for long. The PHB lipgloss appears to contain very fine shimmer but it is not really detectable on application though it does appear frosty on lips. 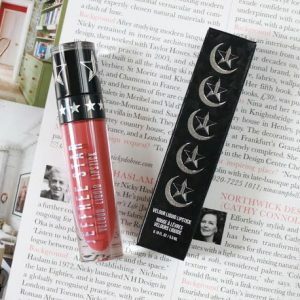 It is thick but not tacky and has a good lasting power for a lipgloss depending on what you eat and drink. 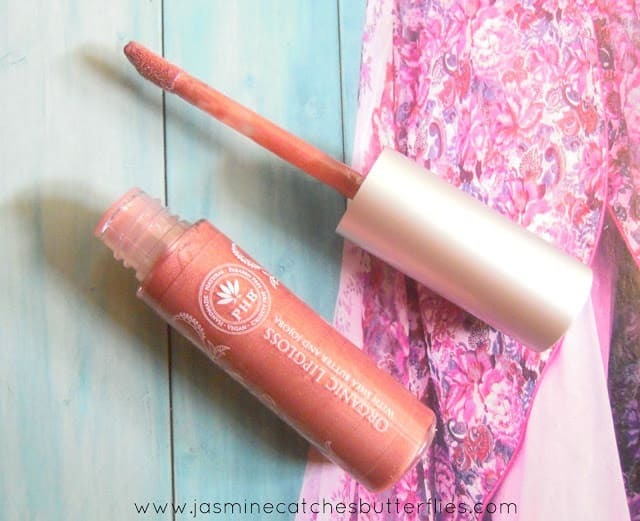 This natural lip gloss is full of botanical oils to nourish and moisturise your lips. I love the idea of mineral makeup because in the long run we do need to take care of our skin as after a certain age we cannot do enough for it. PHB has a good range of products and I am glad Halal Certified Cosmetics has taken an initiative to bring us organic products here in Pakistan so you should give them a go and see for yourself. These might seem pricey but do bear in mind that all of this is made out of natural ingredients, is free of alcohol, gluten, paraben, and basically has no cheap fillers that are harmful. Good news is, as my reader you can avail a 20% discount on Halal Certified Cosmetics Pakistan Facebook page on all of the PHB products by clicking here and following the instructions. I won’t get any commission for this but I do want you to avail the offer if you shop to save some bucks. 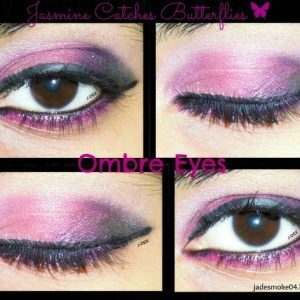 I would do looks using these products in my future posts here on my blog as well as social media so watch out and make sure you are following me everywhere. Have you tried mineral makeup yet? The blush is such a pretty color..love it. 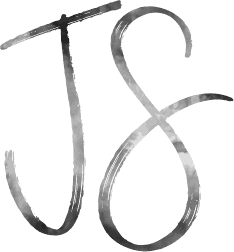 The products in general are expensive; may need a lot of convincing on my part for me to actually buy them!! It is good to see organic products slowly taking place in makeup market. These products looks and sounds amazing but i think the price is little high. Great review. Yes, these are a bit pricey but again these are absolutely organic. these products look amazing! 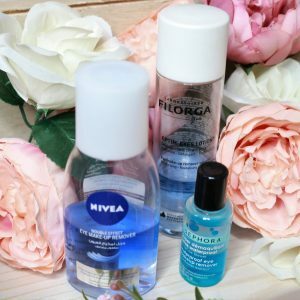 I've been opting out for a lot more natural products when it comes to my skin and body care. as for makeup, I buy whatever. The concept is great, Halal make up is sort of a necessity for the Muslims, since all the big names use unidentified product names on labels we can't really be sure of. The lip gloss is such a pretty shade.